Bill joined the team at WHT&S in 2003 and is the 5th generation of his family to be involved in the agency. He graduated from the Virginia Military Institute in 2003 with a degree in Economics & Business and a concentration in Finance. Bill completed the Certified Insurance Counselor (CIC) designation in 2005, Certified Workers Compensation Advisor (CWCA) designation in 2008 and Certified Builders Insurance Agent (CBIA) designation in 2012. He is also a Founding Member of the Emerging Leaders within the Keystone Insurers Group. He holds licenses in Property & Casualty, Life & Health and Annuities. Bill is very active in the community having served as Board Chairman of the Petersburg Chamber of Commerce from 2010-2012 and currently as an Advisor to the Board. He is an active member of Bermuda Hundred United Methodist Church serving in various roles. One of his passions is scouting. He is an Eagle Scout and he serves on the Executive Board for the Heart of Virginia Council BSA and is Committee Chair for Cub Scout Pack 922. Bill resides in Enon with his wife Amie-Anne, daughter Savannah and sons Billy VI & Chappell. 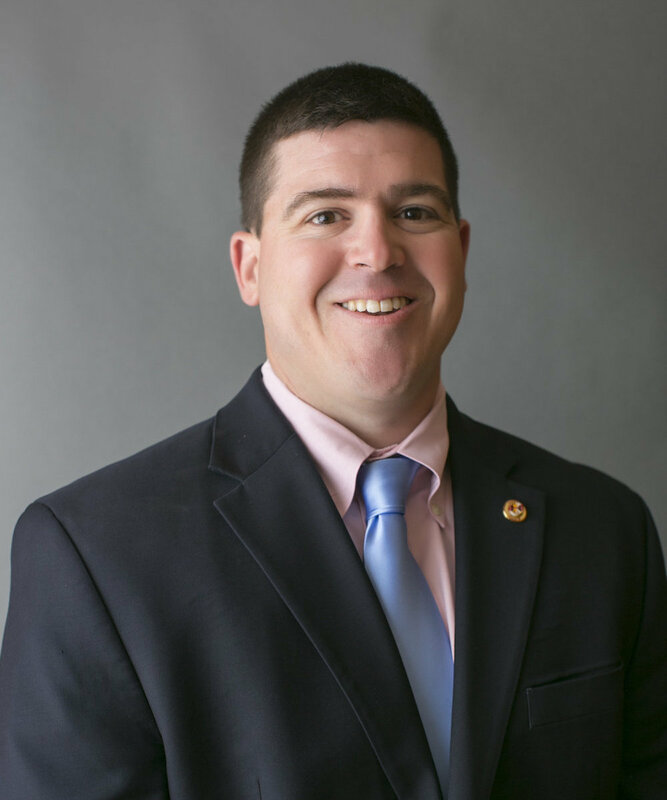 When not headed to one of his kids sporting, scouting or school events, Bill enjoys getting back to VMI for a sporting event or spending time with his family.